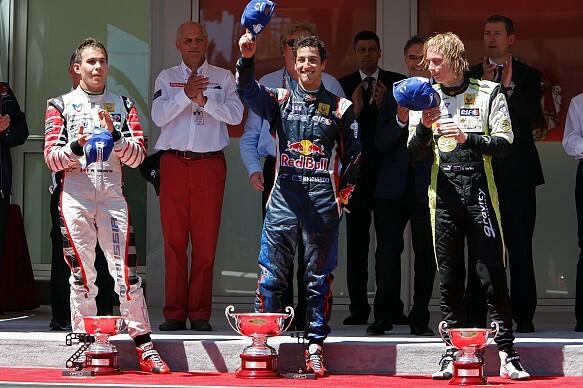 Sebastian Vettel is the star student of Red Bull's young driver programme. If the Helmut Marko-run scheme had a school building, the 2010 world champion's picture would take pride of place above the entrance, and every new recruit would be told: "That could be you." But what about when it doesn't work out? Let's face it, the Red Bull programme has kicked more drivers to the kerb than it has propelled to Formula 1, but that's how it should be. Earning a place at the top table should be just that - earned, so it's natural that a scheme that has had a wide-ranging roster over the years has had to let a fair few drivers go. 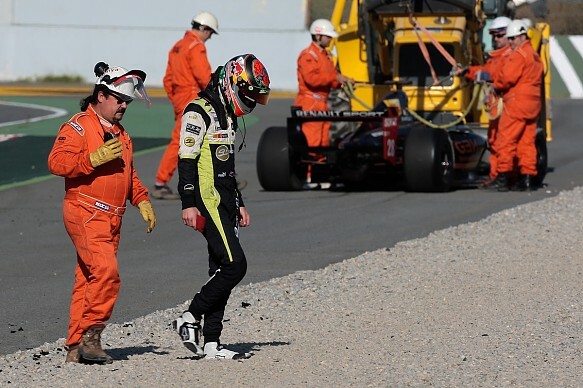 The last name to be unceremoniously struck off by Marko's red pen was Brendon Hartley, who was given the chop in the middle of 2010 after struggling to match his rookie team-mate and fellow Red Bull junior Daniel Ricciardo over the first part of the Formula Renault 3.5 season. 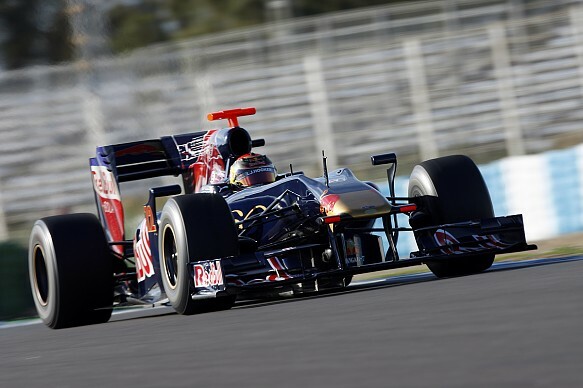 At the time, the Kiwi had been attending grands prix as Toro Rosso's third driver, yet by the start of 2011 Ricciardo was driving for the Italian team on GP Fridays. And one year after Hartley was sent packing, Ricciardo made his debut in F1, having been placed at HRT by Red Bull for the rest of the season. Over the same period of time, Hartley has had to work on putting deals together for himself for the first time in his career. After five years of having that side of things taken care of, it came as quite a culture shock. "With Red Bull you never have any choice in what you do, you are told to go and race somewhere and there are no questions," he says. "You can't say if or but, there is no discussion. But last year I had to start making decisions for myself, and it actually starts to get quite complicated. "You have to think about if it is a good idea to go somewhere for a one-off race. Is it going to help in the future? You have to ask yourself a lot of questions and that is a very different aspect to being with Red Bull." Perhaps now would be a good time to point out that Hartley is not speaking from a position of bitterness towards the energy drinks company that severed its ties to him last year. It was refreshing to hear him make it clear at the time that he had nothing but gratitude towards Red Bull, and that feeling hasn't changed over time. "I've got no hard feelings towards Red Bull," he says. "They looked after me for five seasons and I'm standing here today as a racing driver because of them. Without them there is no way I'd be racing. They gave me a big chance, and it was a real chance. It just didn't happen for a number of reasons." Hartley is by no means alone in having to go back to square one after being notified of such devastating news. But his lack of animosity towards the hand that fed him for so long means he offers a far more balanced perspective than some in the past who have chosen to speak out or offer nothing but excuses for their failings. Yes, the Red Bull junior scheme is ruthless, but that's the whole point of it. "There is a lot of pressure from Red Bull," Hartley says. "But the way I look at it is that if you can't handle the pressure there then you're not going to be able to handle it in Formula 1. I understand that that's how Helmut likes to run it, and so far the success of Sebastian Vettel backs that up. "Being dropped was tough, maybe even life-changing. I didn't have any family money to fall back on"
"I don't want to say that the high pressure of the junior programme is why it has worked out for him in F1, but certainly the pressure coming up through the ranks hasn't hurt him now he's made it. If you can survive on the Red Bull scheme then you can survive in F1 as well." Having the Dietrich Mateschitz-funded gravy train boot you out before its final destination leaves drivers having to make a big decision. They can either go away and lick their wounds, and consider if it is worth carrying on. Or they can get up, dust themselves off and get to work on making it some other way. Hartley opted for the latter, and he didn't waste any time. "Being dropped was tough, maybe even life-changing," he admits. "But straight away I was already thinking about what I was going to do next and how I could make it work. The next day I was already making some phone calls and working out how I could get back into a car. And that was quite a nice experience because I'd never had to do that before. "I didn't have any family money to fall back on, so I've had to work to put deals together. And I'm quite proud that I was able to do that. Over Christmas last year I was back home in New Zealand, and I was working hard every day trying to find money to race and sorting deals." Hartley adds that being thrown out to fend for himself has helped him grow up as a person as well, something that can't always be said of drivers that get to F1 having led a privileged life with backing all the way up the ladder. 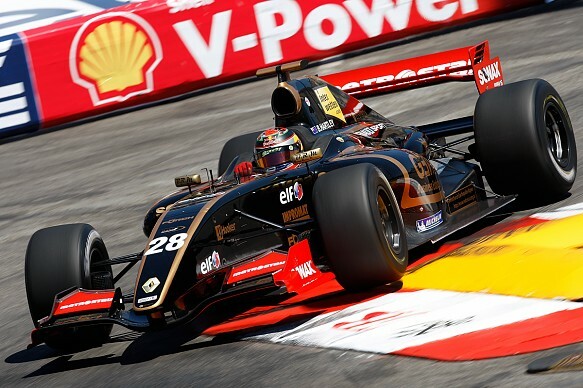 And perhaps that's why he's been able to make things happen, such as landing a drive with Ocean for the final two GP2 races of this year alongside his Renault 3.5 commitments with Gravity-Charouz. "It's been a struggle," he says. "But I didn't get stressed out, I knew what would be would be. I think I'm a little more mature than I used to be and I understand how the sport works a bit better. I knew something would come along, and I have to take what I can at the moment. 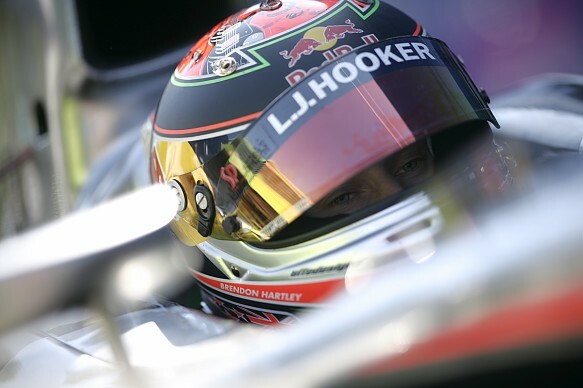 Along with signing for the team, Hartley got himself on the Gravity driver management scheme, which is on the verge of helping newly-crowned GP2 champion Romain Grosjean back into F1. For the second year running things haven't worked out as planned in Renault 3.5, but this time there's been no mid-season pulling of the rug from under his feet. Hartley does see the funny side of moving from one young driver scheme to another, and while he described getting dropped from Red Bull as potentially life-changing, he admits that not so much has changed after all. "Gravity is a little bit different because it's just a management company, there's no product to promote," he says. "In the end, it's a scheme and they are pushing for me to do something next year. We have training camps with all the drivers too, so not much has changed in my life. "I'm still living in Milton Keynes, still hanging out with the same people, and still driving race cars. "If you're going to ask me about next year, at the moment I have no idea what's going to happen. I just have to take it week-by-week, and try not to look to far ahead because it's almost impossible to predict." And there, in that final sentence, lies the biggest difference about life after Red Bull. Monza: Can Red Bull prove a point? Glenn left MN to become AUTOSPORT.com's international editor in September 2006 and joined the magazine's news desk in January 2008, spending six years as news editor. During that time he covered four seasons of DTM and a year of GP2/GP3, before switching to Formula Renault 3.5 for the 2012 season.